In 2018, video marketing has become ubiquitous in news feeds and it’s one of the best tools for persuasion you have available to you. In fact, 72% of businesses say video has improved their conversion rates. Naturally, because your landing pages are designed to persuade and convert, it makes total sense you’d want to use videos to boost the power of your offer. But how do you know if visitors are actually interacting with your landing page videos? If you’re spending money on producing video content (especially if it’s offer-specific), you’ll want to know if your target audience is engaging. 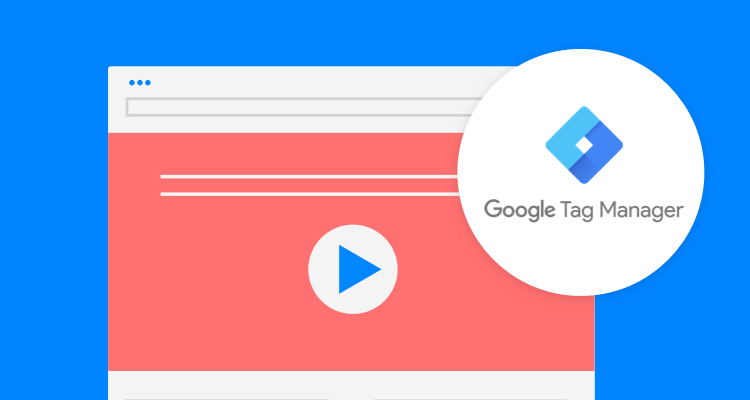 While some of you may have access to a video marketing platform and resulting analytics, this post is going to share how you can get view information for YouTube video players using the free tool Google Tag Manager. Where visitors are dropping off (this can help you understand what content to modify to keep visitors engaged). Head to the Script Manager under your Settings tab. Then, click the green “Add a Script” button. 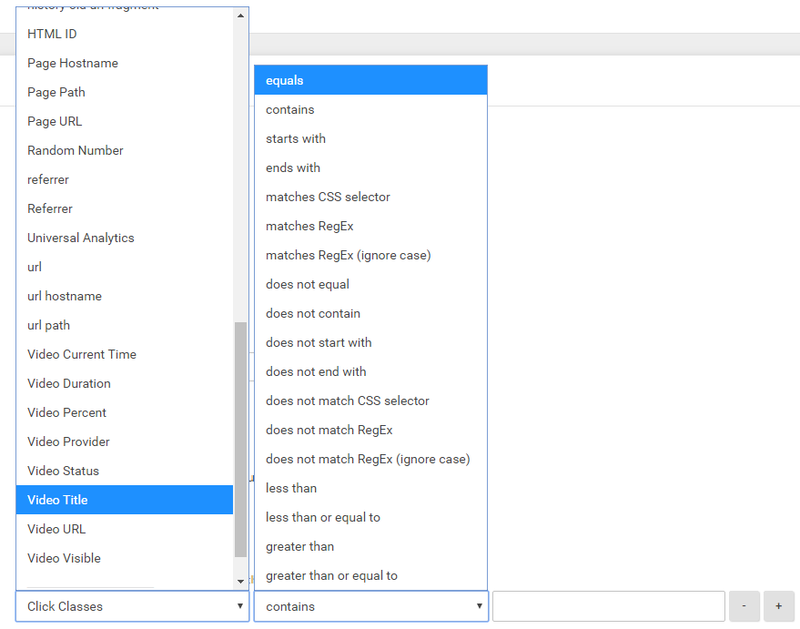 Next, select the Google Tag Manager option. 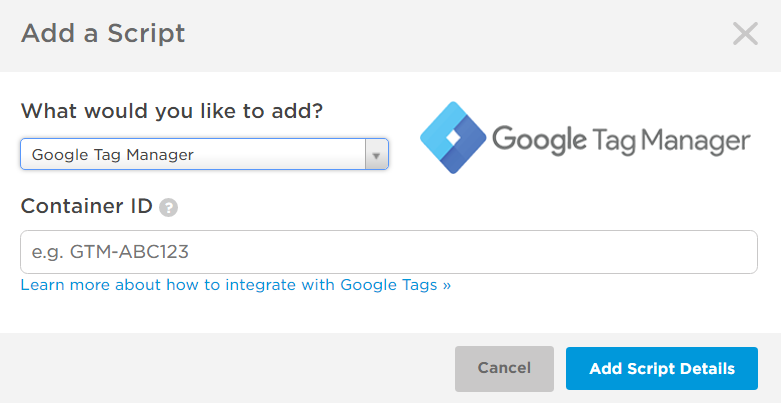 Assuming you’ve already signed up for Google Tag Manager, you can add your Container ID. Lastly, attach your domain to the script, and you’re all set! 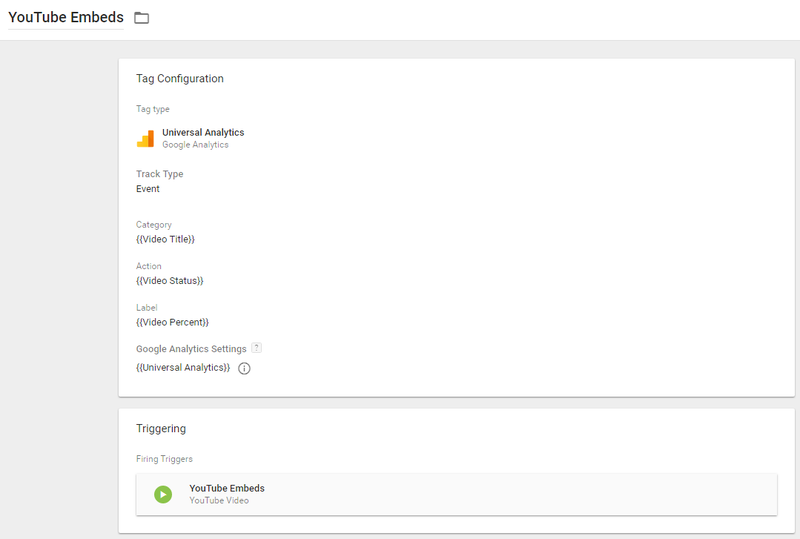 On September 12, 2017, Google Tag Manager released the YouTube Video Trigger which finally gave marketers the opportunity to track engagement from embedded YouTube videos within Google Analytics. Tag Manager added built-in video variables, and we want to confirm they are selected before creating any tags or triggers. Next, we can create our trigger. Triggers control how the tag will be fired. The only option we need is the YouTube Video trigger type. From here you can select the specific information you want to capture. These actions include when a user starts a video, completes a video, pause/seeking/buffering, and the duration of how much of the content they actually watch. In the image above, we see just one option of a trigger you can create. If you choose to select ‘Progress’, you have to choose either Percentages or Time Thresholds. It has to be one or the other. You can’t do both. Using Percentages, you can add any number you like (i.e. it doesn’t have to be the numbers I used in the example above). Tag Manager will automatically add 100 for a completion. On the other hand, if you choose ‘Time thresholds’, you will add the numbers (in seconds) you’d like to have recorded in Google Analytics. If your campaign focus is on views, I’d stick with Percentages. 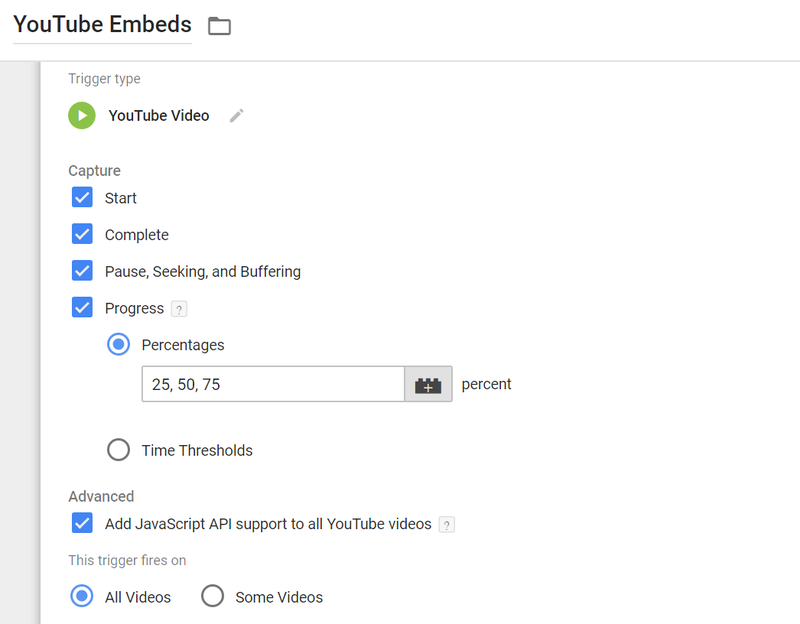 But, if you want to see where users are dropping off to help you improve the content of your videos, Time Thresholds is a good choice. Lastly, choose when the trigger will fire. By default Tag Manager will fire the trigger on all videos, but you can choose to fire on only some videos. You can also make your video triggers a lot more specific. The image below shows several options you have to fire the tag on a variety of custom variables for your YouTube videos. If you only want to track videos on certain landing pages, you can do that, but if you only want to track certain videos no matter what the landing page is, you have that option too. Create the trigger which will give you the data you need to make better decisions about the videos on your landing pages. Now let’s set up the tag! The image below is just one example of a completed tag set up. Here, you can change the Category, Action, and Label to capture the appropriate video data you want to collect. You can also research and find some cool custom versions of these tags like Simo Ahava’s YouTube Video Trigger. There are many options out there, so find the tag which works best for you. Now that we can track the YouTube video interactions, let’s view the data. In Google Analytics, head over to Behavior > Events. In the Overview or Top Events sections, you can see the Event Category lists of whatever you are tracking. While Event Category is the default view, you can switch to Event Action or Event Label to get deeper data depending on how you set up your tag. So, how do you relate YouTube video tracking with our landing pages? Easy. Click on Secondary dimension, search for “landing pages” and select it. From here you’ll be able to see the page URL path alongside the current view you have pulled up. 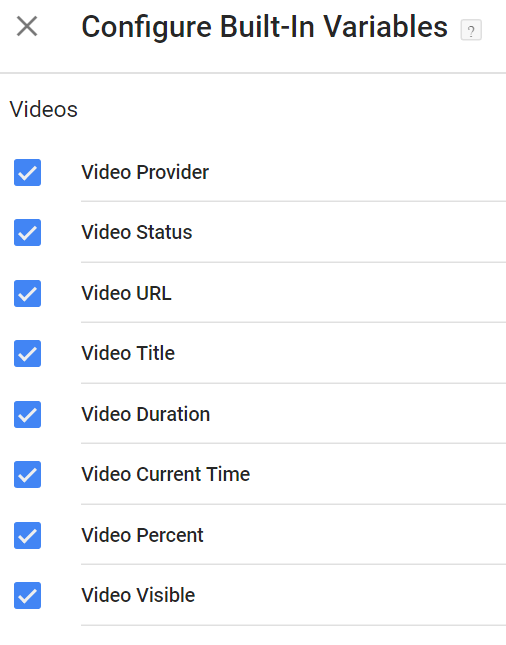 We now have the data in Google Analytics to view which videos users interact with the most, how long are users watching the embedded YouTube videos, and which landing pages are actually seeing video engagement. If you find visitors barely watch your videos (think viewing less than 30% of the content), you now have data to push your team to modify the length of the videos, for example, or get to your key message differently (perhaps you have a really long intro?). If the data shows users aren’t watching your videos at all, you may want to replace the video on your landing page with other, more customized options, or even text that sums up the value props presented. Finally, if you identify really popular videos, it could be a great opportunity to determine if there are opportunities for reuse on other relevant pages, too. Overall, you won’t know whether page visitors resonate with the videos on your landing pages unless you track this. Let me know in the comments below if you have any questions on the setup above – happy to jump in with answers.